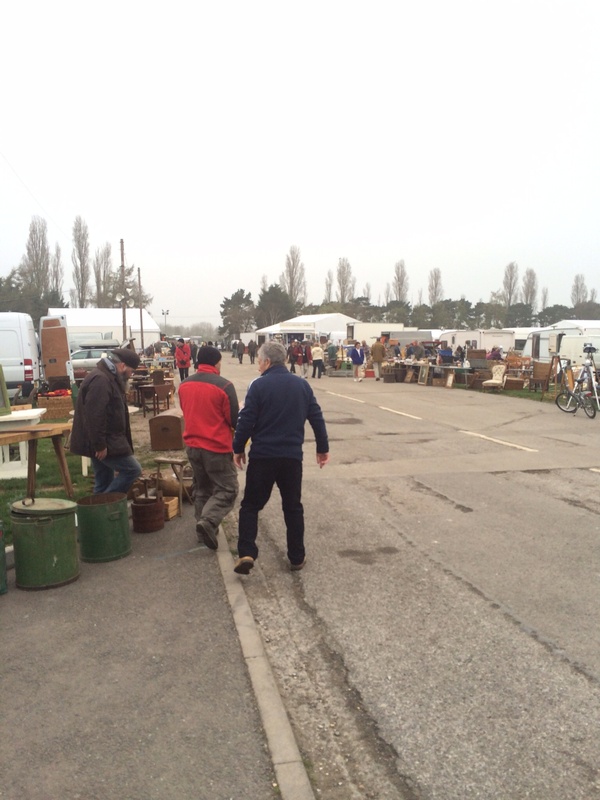 This large antiques fair takes place at the Newark and Nottinghamshire Showground in Newark (NG24 2NY). We arrived at just after 9am, which is opening time, and whilst there was traffic we parked quickly. There is extensive free parking close to the entrance. At this time in the morning tickets are for sale from a cabin by the gate. £20 per person entry and you get a little cardboard tab to attack to your coat. The colour depends on which fair you are at. Having had a long drive up to the show we stopped immediately for coffee and tea from the first truck we came across (filter coffee £2.40 / tea £2.00). Toilets nearby too. You can pick up a map at the entrance too which is a good idea if this is your first time. 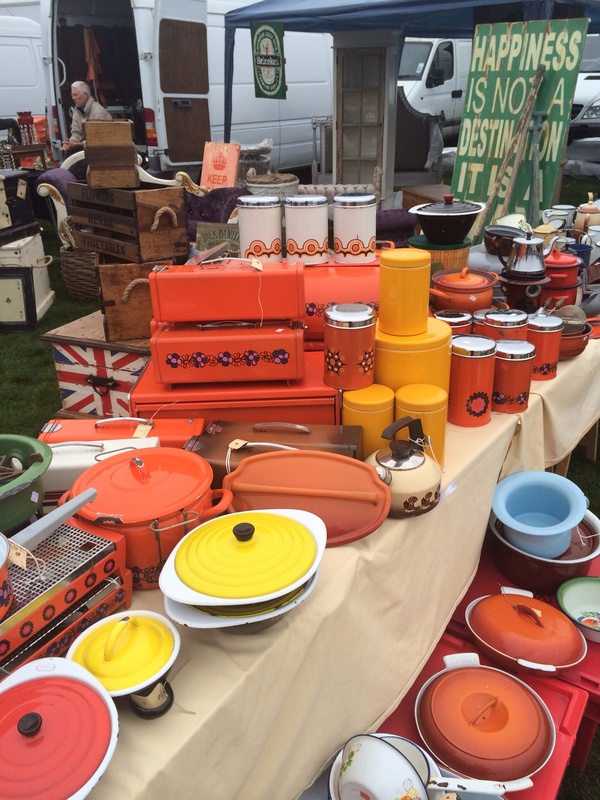 There is a great choice of stalls and pretty much everything is covered from vintage furniture to antique furniture, bone china tea sets to Pyrex and Tupperware. For most of the dealers this is familiar territory for them. Most are chatty and prepared to discuss prices. From our vintage perspective we were pleased to see Pyrex, Tupperware, luggage, art, enamelware and Ercol and G plan. There is not an extensive vintage choice but we did pick up a nest of Ercol pebble tables and a Meakin Tea Set, both at very reasonable prices. Take a trolley, this is a big fair which takes a few hours to get round, you will be grateful! Be prepared to rummage to find a gem! Don’t be afraid to haggle, just be polite and reasonable with the dealer – this is their living. The ticket is good for entrance on the second day. Take cash – there is a cash machine on site but it costs £3 to use. Some (not all) dealers can take cards.